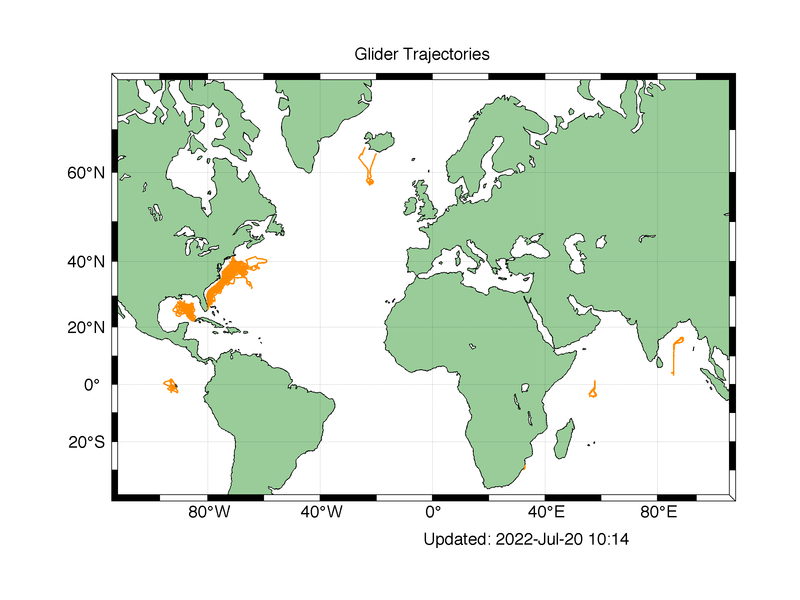 Within this site, you can access plots of data from WHOI glider deployments. 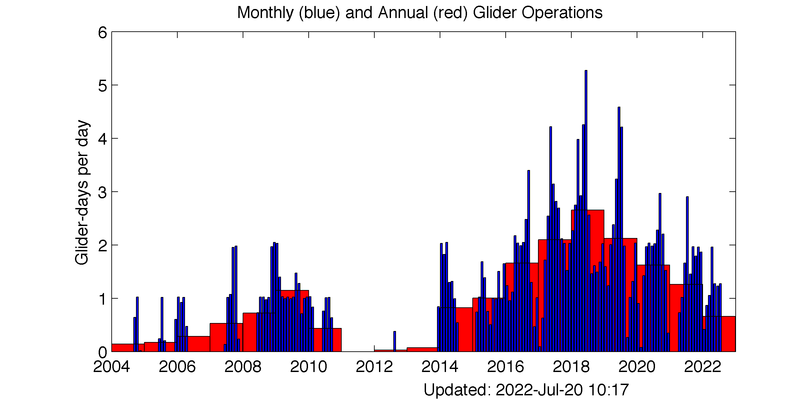 Plots from gliders that are currently deployed are updated every few hours as new data are received via satellite. Plots from archived deployments are based on post-processed and quality controlled data.